Brazil is a vast South American country, stretching from the Amazon Basin in the north to vineyards and massive Iguaçu Falls to the south. Whether traveling for a luxury vacation, business, or special event, our private jet charter team can arrange a luxury jet to/from any travel destination in Brazil and neighboring Latin American countries. Fly private with our Brazil private jet charter service and arrive in style for your next trip! 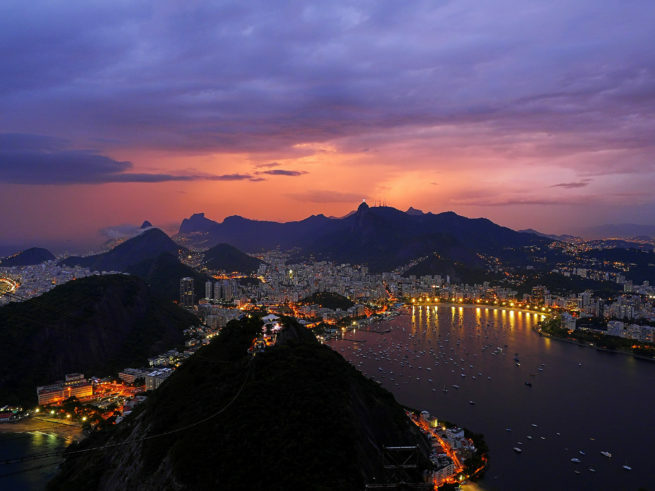 Fly privately into one of the following destinations within Brazil . This list of destinations is based on Air Charter Advisors clientele requests, local attractions, and online reviews. Many of our clientele choose Rio de Janeiro and São Paulo as their top travel destinations when planning a trip to Brazil. Rio de Janeiro, symbolized by its Christ the Redeemer statue atop Mount Corcovado, is famed for its busy Copacabana and Ipanema beaches as well as its enormous, raucous Carnaval festival, featuring parade floats, flamboyant costumes and samba music and dance. Request a Quote or give us a call at 1-888-987-5387 to speak with one of our Brazil private jet charter brokers for your next luxury vacation, business trip, or special event.